Is your fire risk asssessor competent? I have just completed the IFSM (Institute of fire safety management) Fire Risk Assessor/ Fire Management Certificate Course. As part of this course we discussed the competency of fire risk assessors. What came from this discussion was there are dodgy people who charge very little for a fire risk assessment and don’t have the knowledge to carry one out correctly which means they are putting themselves and others like you and me at risk. As part of the changes in the fire legislation i.e. 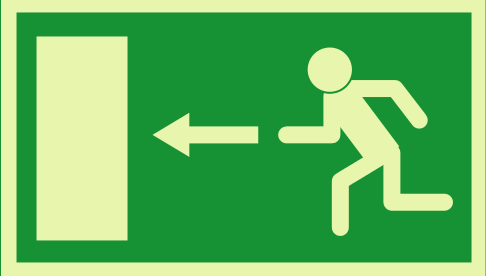 The R.R.O (regulatory reform fire safety order) it is a must that the ‘ responsible person’ must carry out or appoint a competent person to do their fire risk assessment for non-domestic businesses. A lot more businesses are appointing fire risk assessors as they do not feel they are competent enough to do it themselves and don’t want to risk getting prosecuted from the local fire service should they get it wrong. However due to some fire risk assessors themselves not being competent/ qualified enough to carry out a thorough and correct fire risk assessment. Many businesses are falling foul to this and there have been occasions where the fire risk assessor and the business owner being prosecuted. What is a responsible person? If you are wondering what a ‘responsible person’ is in simple terms I have given it my best shot to keep it as simple as possible without removing what is important to know. I hope the below information helps! The Regulatory Reform (Fire Safety) Order 2005 was introduced into England and Wales in October 2006. The Order replaces the previous fire safety legislation. the Fire Precautions Act 1971 will cease to have any effect. It is now up to the ‘responsible person’ to carry out a fire risk assessment of their business premises. A ‘responsible person’ is as described below taken direct from the government website. ” In England and Wales, if you’re an employer, owner, landlord or occupier of business or other non-domestic premises, you’re responsible for fire safety and are known as the ‘responsible person’. As the responsible person there are certain things you must do by law under the Fire Safety Order, which is enforced by your local Fire and Rescue authority.